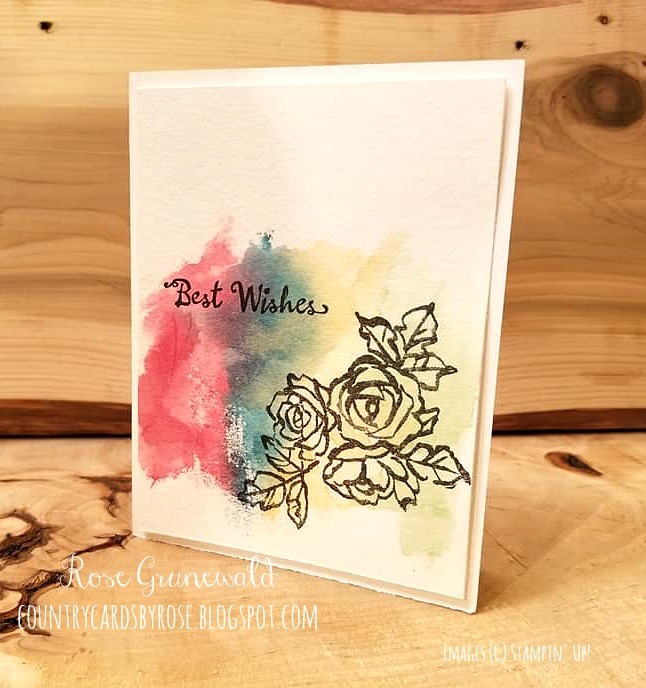 Country Cards by Rose: Watercolor Wash with a Ziploc Bag! Hello Stampers! Thanks for dropping by! I hope you all survived Valentine's Day yesterday. My husband and I celebrated over a couple large steaks at our favorite supper club last night - yum! Today I've got an incredibly simple, beautiful card for you using a watercolor wash background that you create with a Ziploc bag! You can see just how easy this technique is in my video tutorial below. 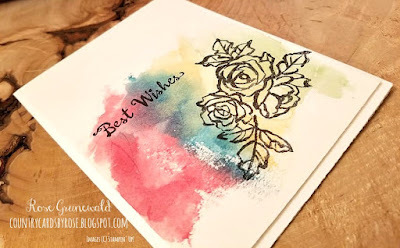 For those of you who like to follow along a step-by-step tutorial, I've got that for you too! Lay your plastic sandwich bag over the top of your watercolor paper. This will give you a guideline for your marker coloring. Using Stampin’ Write markers, scribble colors of your choice on the baggie in vertical scribbles across the card. Set aside – scribbled side up. Use aqua painter to wet the watercolor layer generously where you want your color placed. Do not wet the entire layer – just the area you want the watercolor wash.
Flip inked/scribbled plastic sandwich baggie over to set on top of the watercolor layer (inked side will now be facing down, touching watercolor wash so ink can spread). Smoosh the baggie around with your fingers to gently spread ink. Let dry thoroughly. 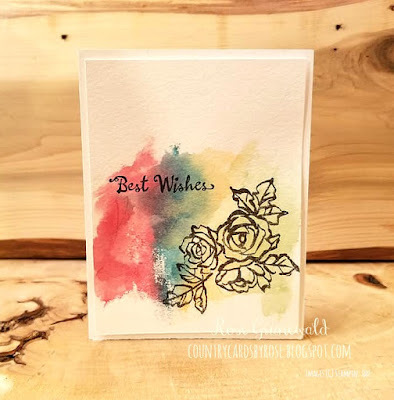 Using Memento, stamp greeting and flowers as shown above. Adhere watercolor card front to card base. when you place any order under $150, and you will receive happy mail with a special thank you gift from me!